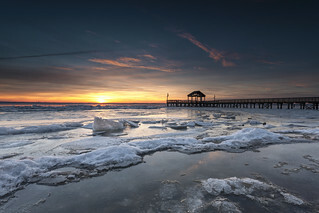 Love it or hate it, winter is leaving its signature all over the Chesapeake Region. And with it, I leave my signature by way of these winter landscapes. This is Leesylvania State Park near Woodbridge, Virgina. Most of you may know that the entirety of the Potomac River belongs to Maryland. Thusly, with the tripod (and both feet) in the river, I present this Maryland sunrise on the Potomac.